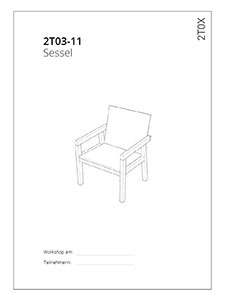 The workshops are based on a collection of construction principles that covers essential furniture, the 2T0X series. These designs focus on producibility in terms of available tools and materials. Depending on individual craft skills and expenses for materials the quality of detail of the single object may be increased, whereas the general appearance remains the same. 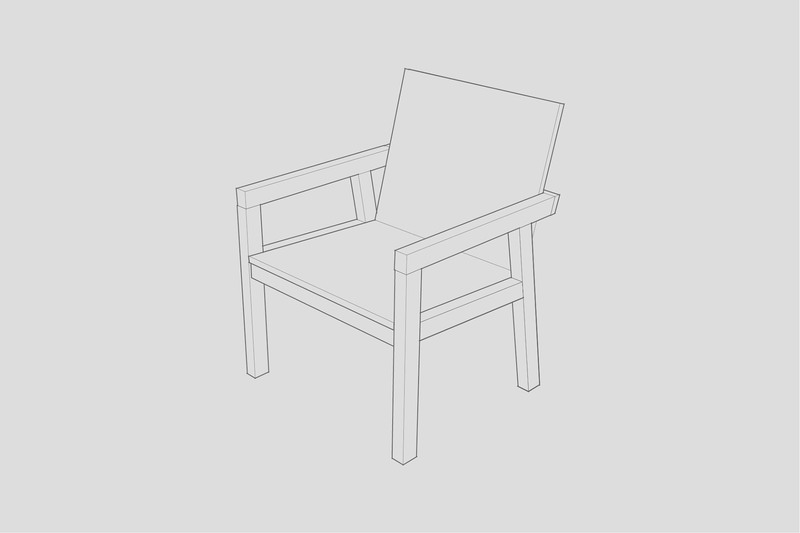 Subject of the first series of workshops the 2T03-11, a standard easy chair. 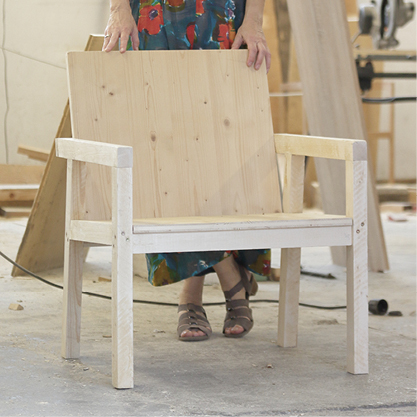 The participants collected residual material from the workshop to build the wooden frame and brought their own fabrics for optional cushions. 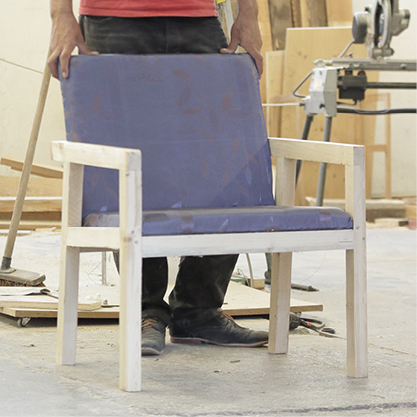 Depending on the participants’ technical skills, the complexity of individual upholstery or other modifications it took a day or two to finish a chair on average. The 2T0X series is steadily evolving collection. 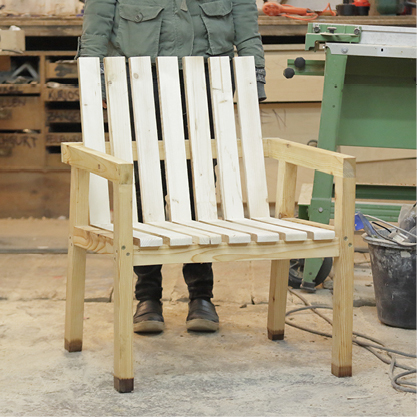 Amongst the standard easy chair these workshops have so far covered stools, benches and tables.